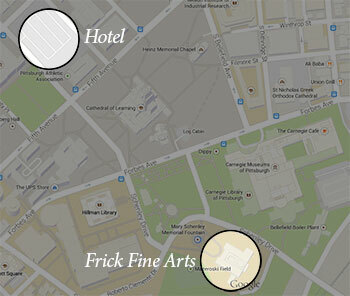 This map is of the Oakland area and shows the relationship between the hotel, The University of Pittsburgh’s Frick Fine Arts Building (lectures, opening reception, and trade show) and Pittsburgh Filmmakers. 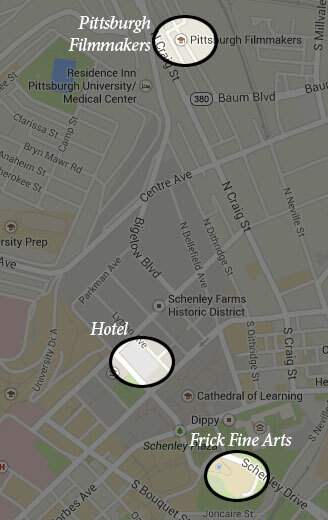 For those of you flying to Pittsburgh for the Symposium there are multiple ways of getting from the airport. 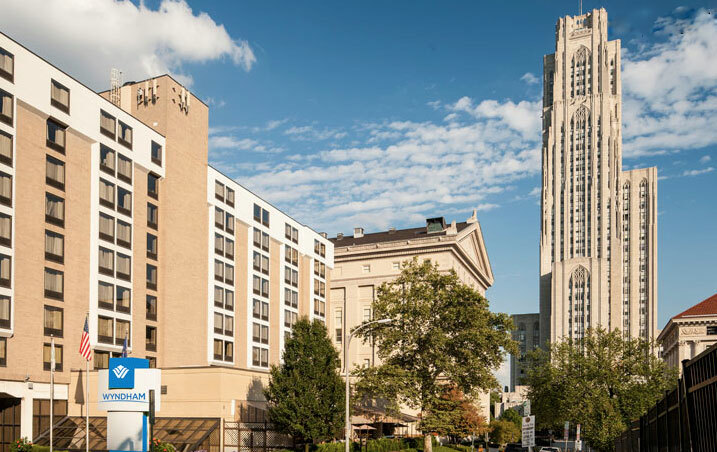 The 28X express bus (fare: $2.25) will take you into downtown Pittsburgh, the Oakland area (site of the symposium) and beyond. Check for more information on the 28X bus schedule. More information about the 28X may be found on the airport web site.